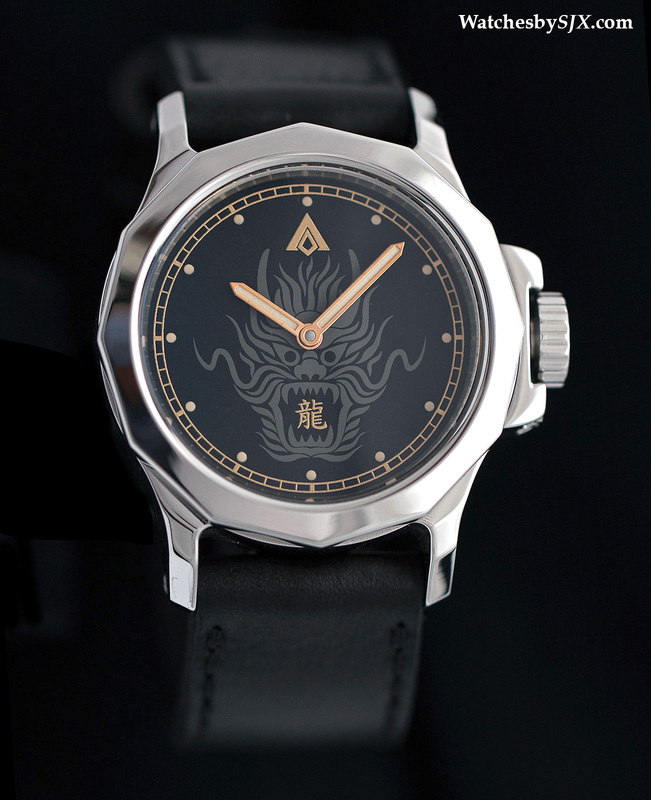 Conceived by a watch collector to be an affordable, unique timepiece, the A-rtisan Dragon is proudly crafted in Thailand, but equipped with a Swiss Unitas movement. 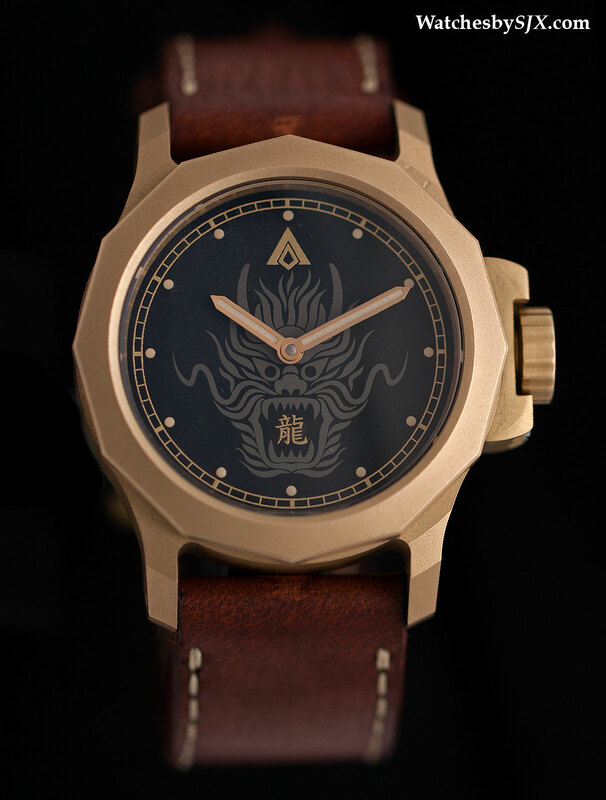 A-rtisan is the first, homegrown Thai watch brand. 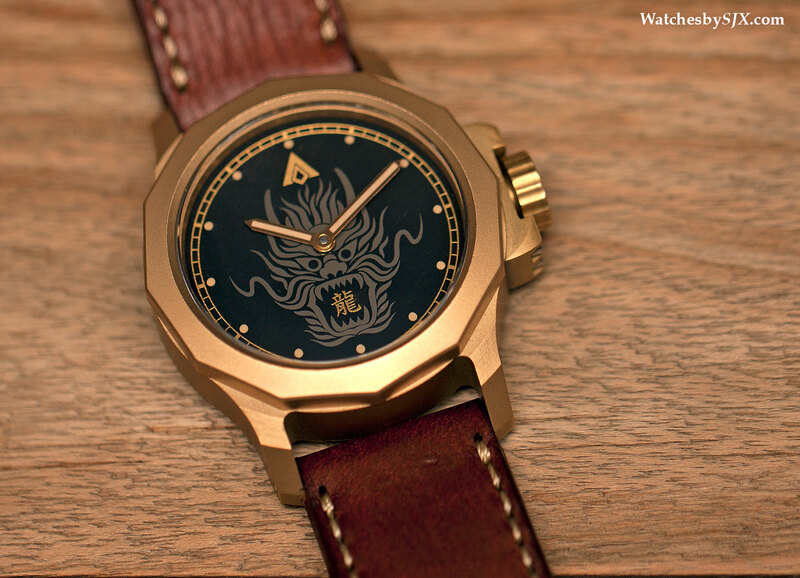 A-rtisan is the brainchild of Ratthawich Chainarongruj, a watch collector hailing from Bangkok, Thailand. 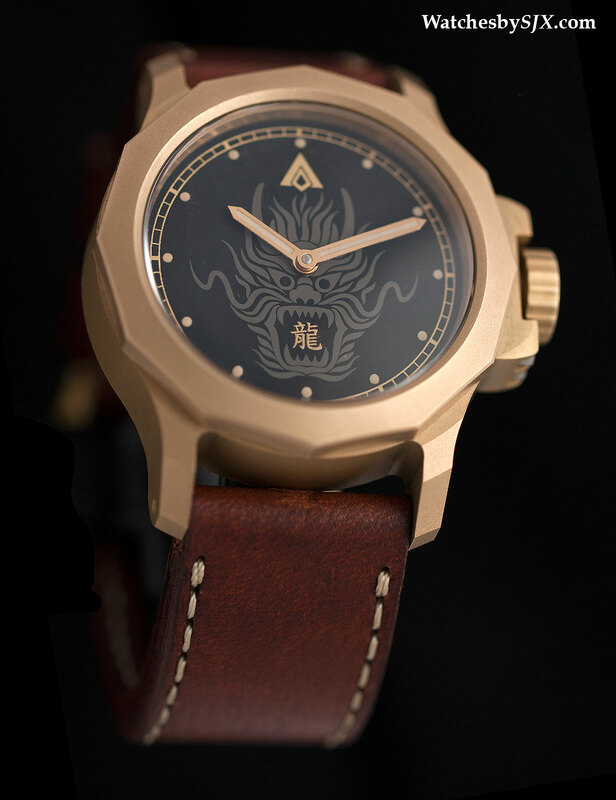 He put together a small team of designers, engineers and machinists, resulting in A-rtisan’s first timepiece: the Dragon, an affordable, limited edition wristwatch in steel, DLC or bronze. 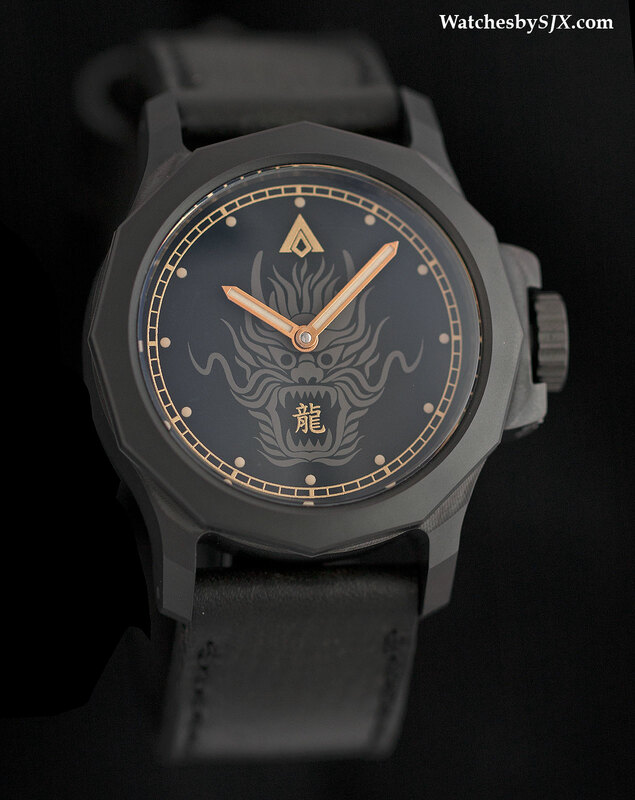 This is not the first time Chainarongruj has dabbled in the watch industry. 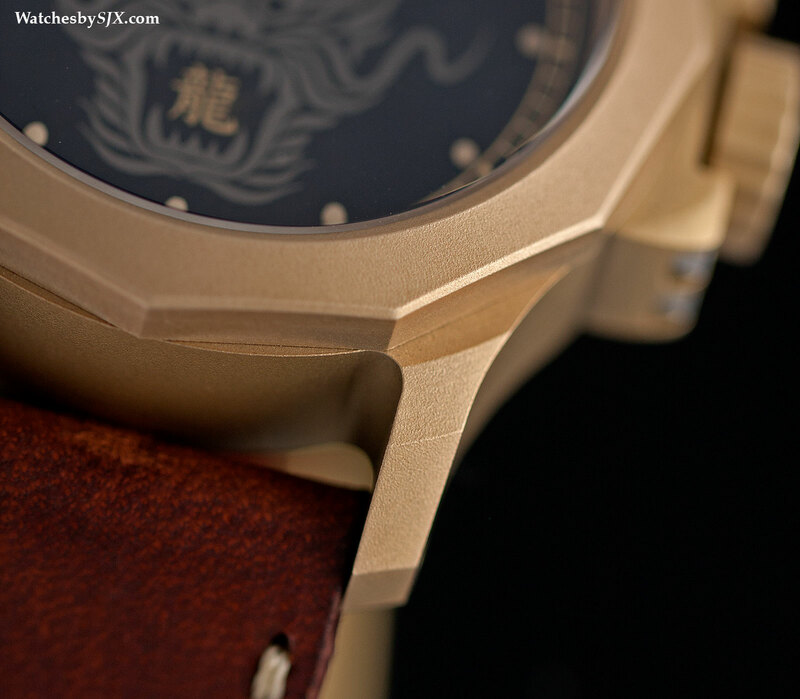 In the recent past, he worked with Hublot, Seiko and SevenFriday to create Thai-market limited edition timepieces. 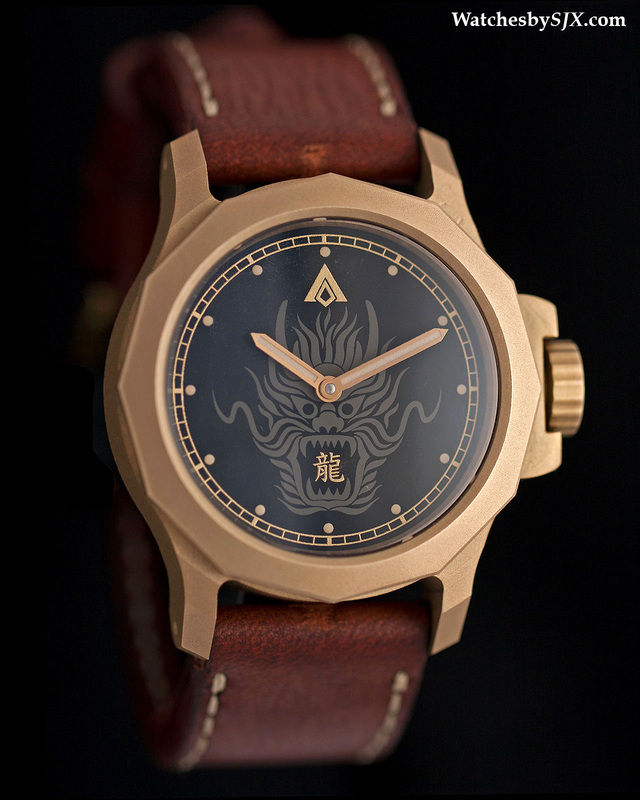 A-rtisan, on the other hand, is the culmination of his desire to create a Thai watch brand. 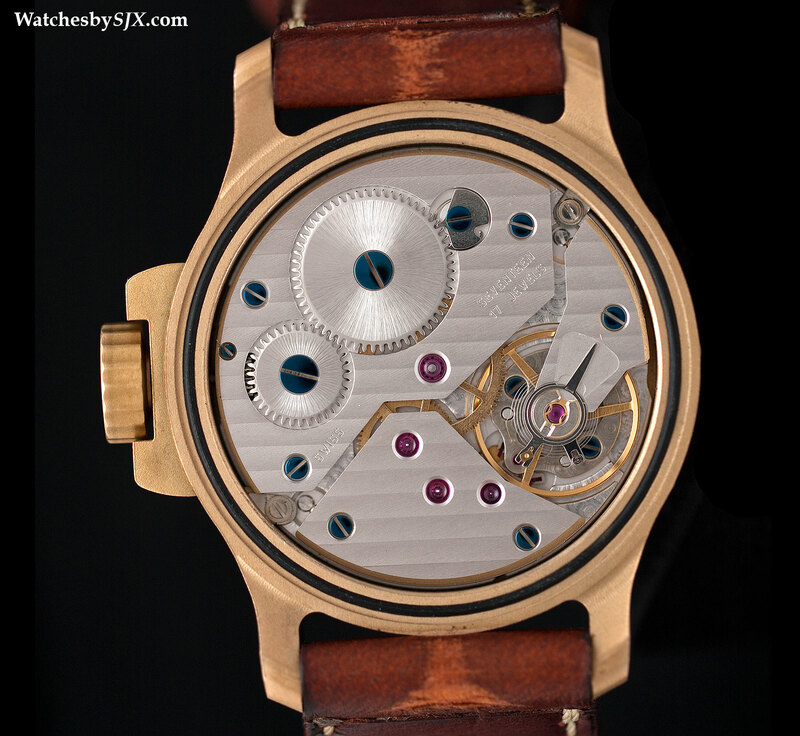 All three versions of the watch share the same case dimensions – a chunky 44 mm case that stands 15.55 mm high. The sapphire crystal is a thick 3.5 mm, with a very slight dome. 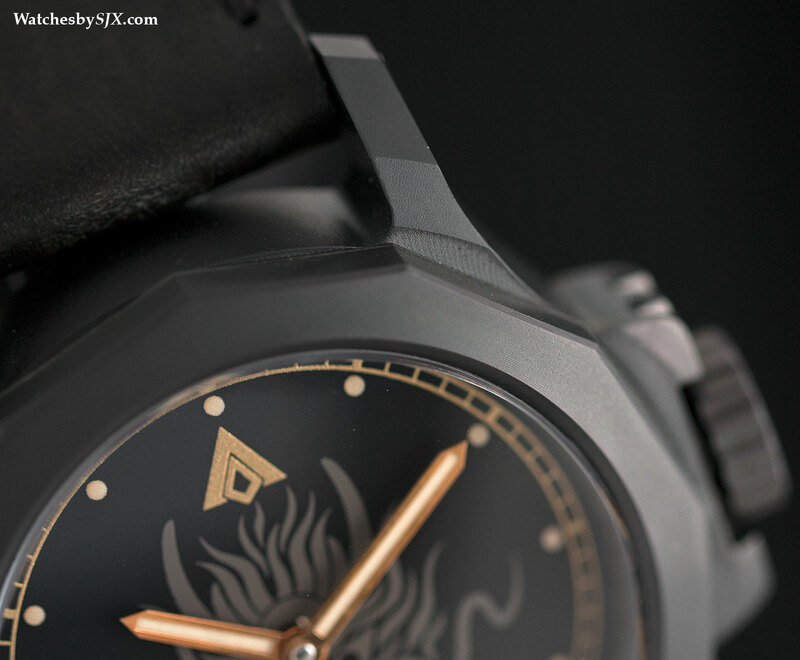 While the style of the case is not original – it is inspired by the Panerai 1000 m prototype and shared by many other timepieces in this segment – the case form is attractive. These prototypes show machining marks from production, which will be absent from production pieces, though they do give it character. And naturally the case tolerances will be tighter on the pieces made for sale. 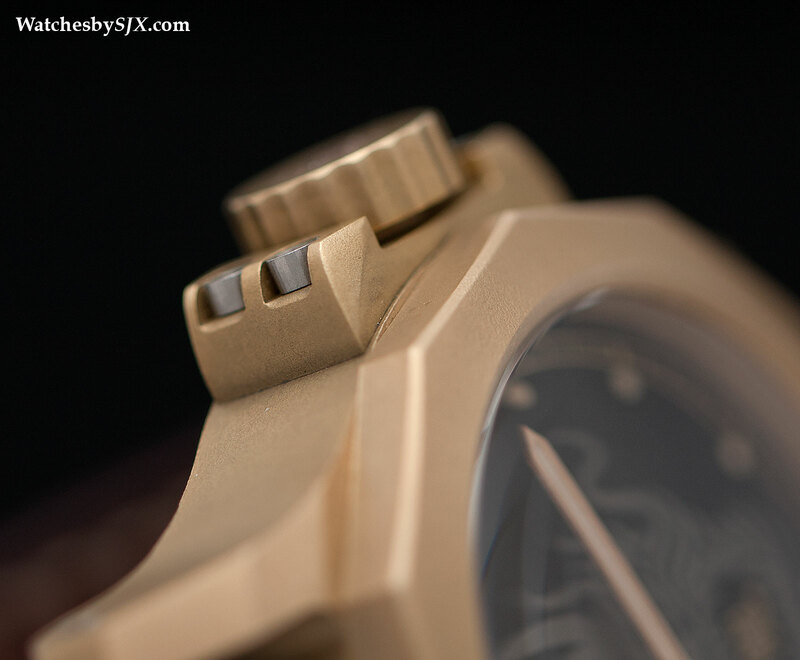 The crown guards are actually secured onto the case with four large bolts, while the crown is non-screw down – a great convenience for a hand-wound watch with a two day power reserve. Water-resistance is a reassuring 100 m, thanks to three gaskets inside the crown and tube. 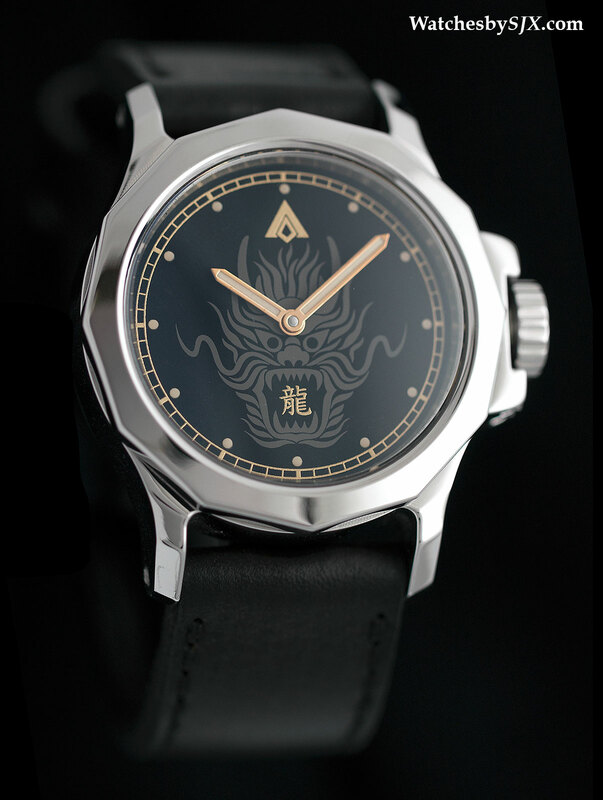 The dial are brass, lacquered black with gilt printing. Under magnification the print quality is inadequate in the prototypes, but A-rtisan promises the production versions will be up to par. 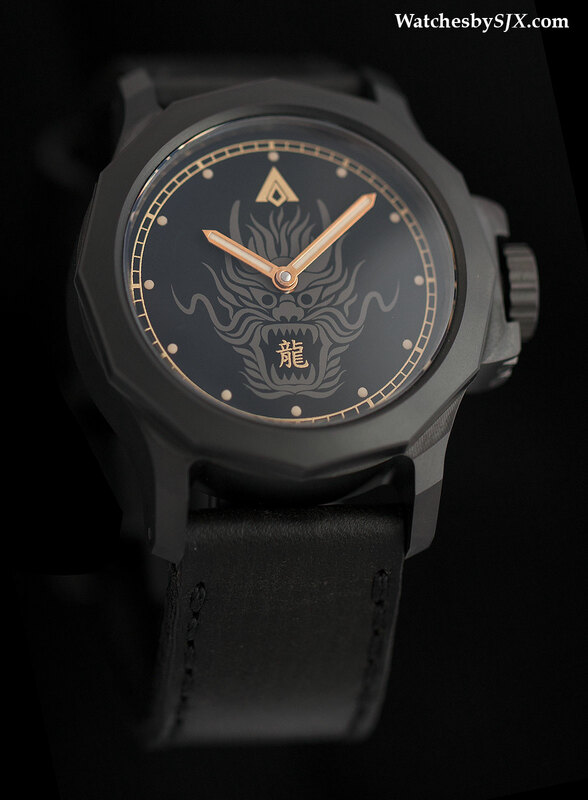 A-rtisan is proud of the origins of its timepieces. “Siam Made” is engraved on the case back; Siam is the historic name of Thailand. 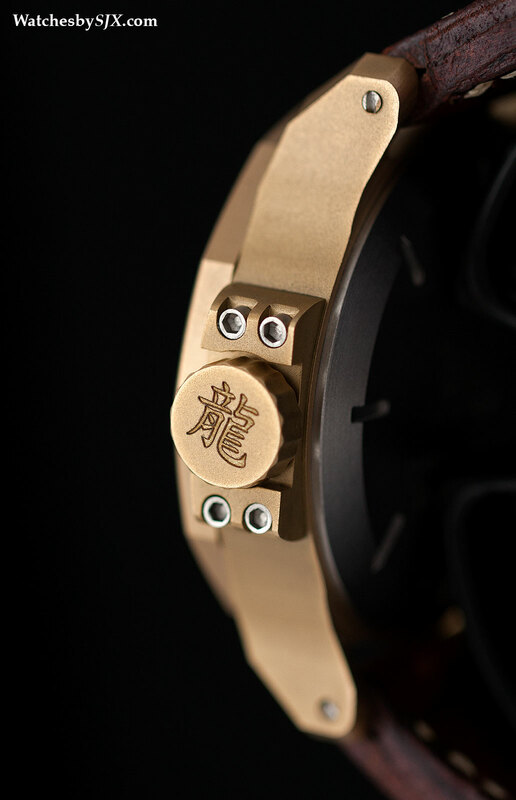 All the components of the A-rtisan Dragon are made in Thailand, save for the movement, which is a Unitas 6497 obtained from ETA in Switzerland. 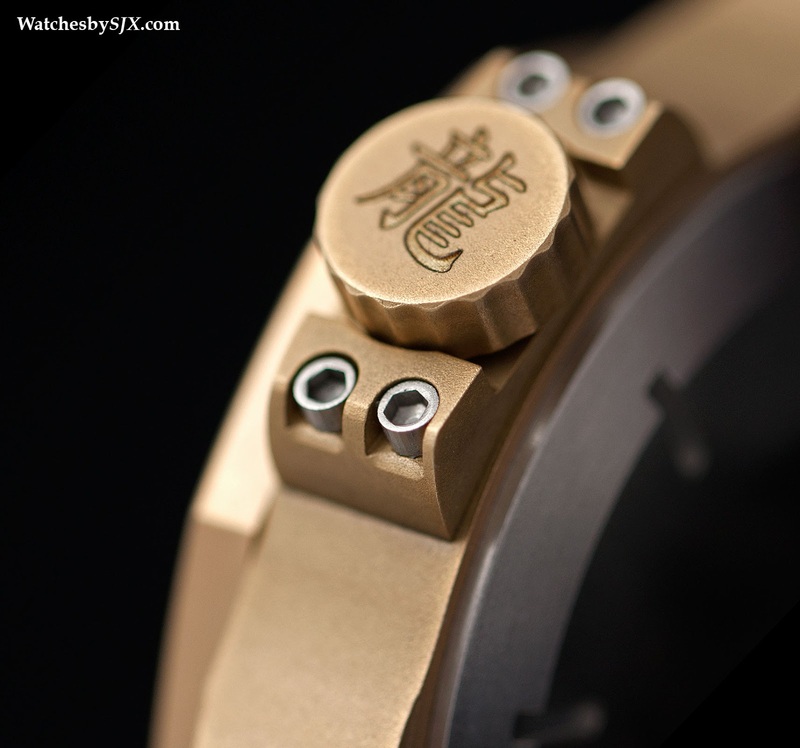 It is not widely known, but Thailand has a meaningly presence in watch component manufacturing, especially for external parts and quartz movements. 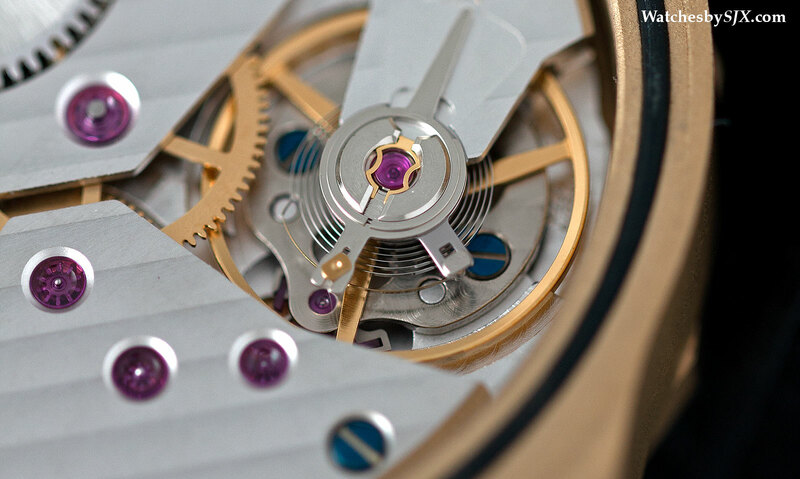 This is almost never mentioned by the watch industry, though the late Rolf Schnyder of Ulysse-Nardin often noted that he made dials and quartz movements in Thailand for various Swiss brands. It’s hidden underneath a solid back, but the Unitas has what is commonly called a luxury finish – Geneva stripes, blue screws and so on. 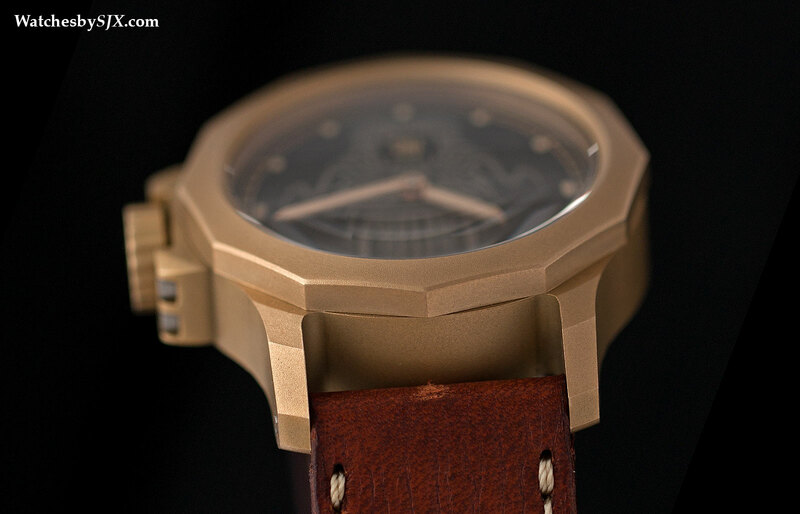 Though not high horology, it looks good, especially at this price point. 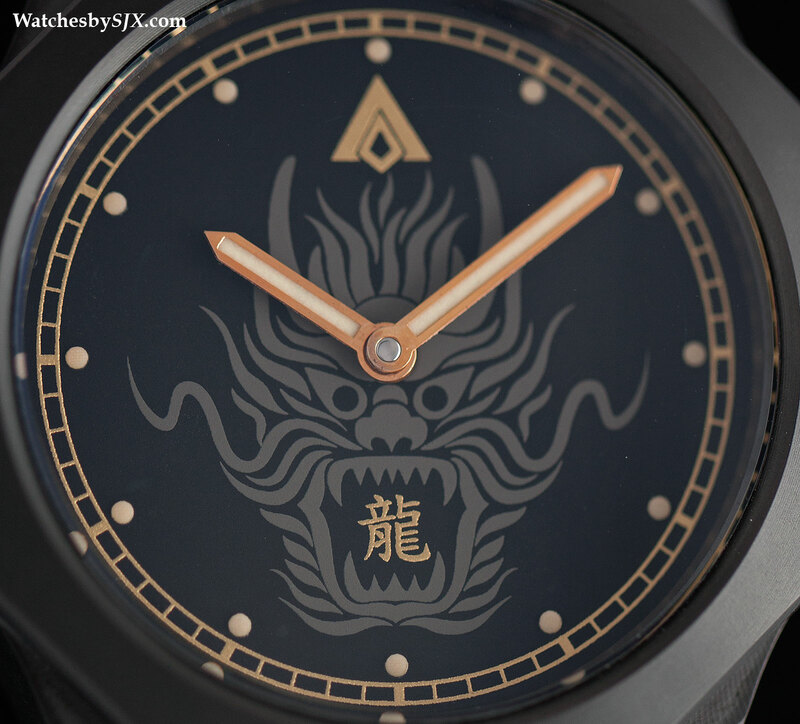 With an estimated delivery in the first quarter of 2015, the A-rtisan Dragon is limited to 100 numbered pieces in each metal. Prices are 51,000 Thai baht for the steel, 61,000 Thai baht for the DLC while the bronze is 53,000 Thai baht. The price range is equivalent to approximately US$1560 to US$1870. 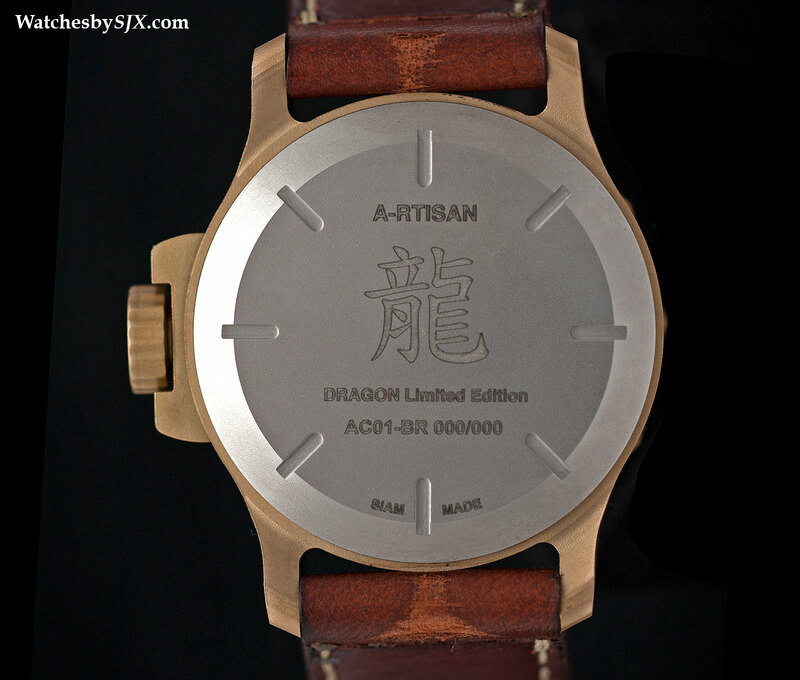 The watches are available direct from A-rtisan.